"THE MIRACLE HAPPENED ON WEST SEVENTY-FOURTH STREET, IN THE HOME where Mama worked. It was a big brownstone encircled by a wrought-iron fence, and overlooking either side of the ornate door were gargoyles, their granite faces carved from my nightmares. They terrified me, so I didn't mind the fact that we always entered through the less impressive side door, whose keys Mama kept on a ribbon in her purse." All the Ugly and Wonderful Things is an amazing debut novel that is sure to make my top reads of 2016 list. Beware - it's not a book that everyone one will love and, readers who steer clear of stories involving the abuse of a child should avoid this one. The story begins in 1975 in the wide open space of Kansas where Wavonna "Wavy" Quinn, age 5, lives with younger brother Donal and her irresponsible parents. Mother Val is mentally ill and often high on meth or pills. Her father Liam and his thug buddies cook and deal meth nearby while, Wavy assumes responsibility for her younger brother. "Scary mama" has drilled frightening thoughts into Wavy's head about never talking to anyone, the mouth being dirty and never touching anyone. Wavy must walk on egg shells as she tries to navigate life, never knowing which mama personality will wake up each morning. Although she briefly gets to live with her grandmother, the stay is brief as her grandmother is unable to care for the children longterm. It is here that Wavy does learn all about constellations and becomes fascinated with the night sky. Wavy's life does get better when an acquaintance of her fathers crashes his motorcycle and Wavy comes to his rescue. Jesse Joe "Kellen" is a mechanic and occasional drug runner for Liam. Kellen has also had an abusive childhood and although he's in his early 20's he is kind and caring and he and Wavy form an unusual bond with Kellen becoming a protector of sorts. This is an amazing debut novel and although a work of fiction, the author states that parts are autobiographical. This is a book that made me squirm and feel uncomfortable at times. I read it slowly as sometimes I felt almost afraid to turn the page. The writing is raw and gripping and the story progresses at just the right pace. Many readers will be shocked and, not since, A Little Life, Hanya Yanagihara, has a book moved me as much. The verdict: wonderful yet disturbing. 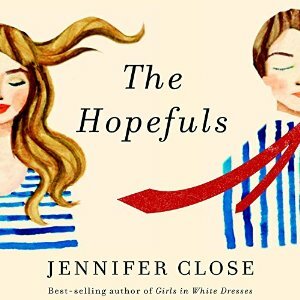 The Hopefuls is a delightful story that examines marriage, friendship, ambition, loyalty and jealously. The story is told from the POV of Beth Kelly, a young wife who once was an editor for Vanity Fair in New York City. Beth gives up her dreams to follow her husband Matt to Washington, DC so her can pursue his own political aspirations. Settling in is difficult for Beth but, she and Matt become fast friends with another young couple from Texas. Jimmy and Ashleigh Dillion. Jimmy's a charismatic, Whitehouse staffer and his wife "Ash" is a sweet Southern Belle. As the friendship blossoms the foursome seems inseparable. Just as Beth begins to feel a little more comfortable in DC, with a job for a social website, Matt begins to feels his job at a standstill while Jimmy's seems to be on the way up. Set after the O'Bama's take office in 2008, as a reader I felt I was getting the inside scoop into the political circles and protocol of how people in Washington behave. I loved the descriptions of everything around DC and the way the author skillfully made a dialogue driven novel so much fun. The author's own husband worked on President O'Bama's presidential campaign which is probably another reason the happenings seemed so realistic. The audiobook, narrated by Jorjeana Marie was fantastic. The characters were enjoyable, I especially loved the Southern Belle, Ash. If you love audiobooks and a story that will make you smile. Be sure to try this one. Effia and Esi are half-sisters born in different villages in 18th century Ghana. Their lives couldn't be more different. Effia is married off to an Englishman and she lives a comfortable life in Cape Coast Castle. Little does Effia know but, her half-sister Esi is imprisoned, along with other young girls in the dungeon of the castle where she lives. The conditions in the dungeon are horrendous as is the fate of these young girls. It is the height of the slave trade and, they are to be sold off as slaves and shipped to American where their lives will not be much better. The story is told in separate threads that follow the descendants of these half-sisters. It's a story that covers some 300 years of history and two continents. Each chapter tells the experiences of a new family member and a particular point in time. There is a lineage chart to refer to which keeps the story easy to follow despite the 300 year period. The writing is wonderful, the characters beautifully developed, each with a unique and distinct voice. The novel is well researched and yes, there is violence, heartbreak and loss throughout the generations. The novel almost felt like a series of interlinked short stories which were beautifully tied together and led to an extremely satisfying ending. 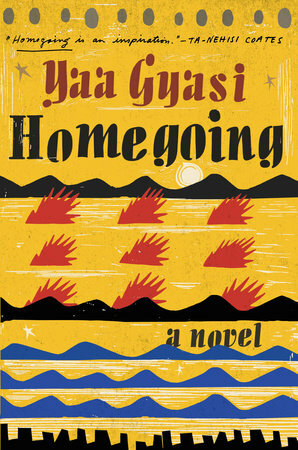 Yaa Gyasi is definitely a debut novelist to watch for. 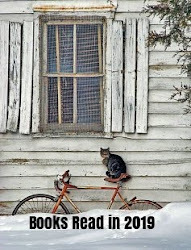 This is a must read for literary fiction lovers. 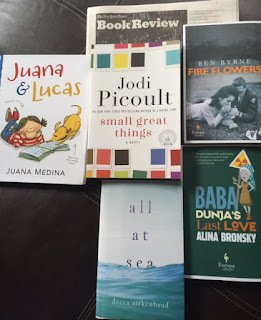 Every Tuesday I host First Chapter First Paragraph Tuesday Intros where I share the first paragraph sometimes two, of a book that I'm reading or plan to read soon. (I love a good memoir and think this one will hit the spot, I'm enjoying the writing style). Promise you'll drive out first thing tomorrow! Mum is ninety-three, and these are her messages just since dinner. Nineteen years, one month, and twenty-six days of eldercare have brought me to my knees. But first thing next morning, I crawl to my car, hack at the ice on my windshield, and slump into the front seat with the heater cranked up." Just finished (2) amazing books that I highly recommend. I hope to work on reviews this week but, for now here is a bit of info from the overview of the Amazon website. (Overview) The unforgettable New York Times best seller begins with the story of two half-sisters, separated by forces beyond their control: one sold into slavery, the other married to a British slaver. Written with tremendous sweep and power, Homegoing traces the generations of family who follow, as their destinies lead them through two continents and three hundred years of history, each life indelibly drawn, as the legacy of slavery is fully revealed in light of the present day. (Overview) A beautiful and provocative love story between two unlikely people and the hard-won relationship that elevates them above the Midwestern meth lab backdrop of their lives. To celebrate 10 years of marriage Caroline Shipley's husband Hunter, an attorney, surprises her with a family trip to a posh resort in Mexico. The couple has 2 young daughters Michelle, 5, and Samantha, 2. Two other couples, family and friends are also there to celebrate. On the evening of their anniversary dinner celebration there is a mixup with the child watch services at the hotel and the couple finds themselves without a sitter. Despite this they decide to go to dinner in the hotel restaurant which is directly below their room. They agree to check on the sleeping girls every 30 minutes while they dine. Things go horribly wrong and 2 year old Samantha goes missing without a trace. A parent's nightmare and the guilt which follows torments the parents, especially Caroline. Each anniversary that passes since the disappearance the old hurts resurface. New stories and occasional leads have failed to find their daughter. On the fifteenth anniversary since Samantha has gone missing a new article hits the news with photos of what Samantha might look like today at 17. Soon after, the phone rings and the girl at the other end asks for Caroline and says, “I think my real name is Samantha. I think I’m your daughter.” Caroline must find out if this can possibly be true. What follows is a tension filled psychological thriller that held my interest through and through. There are a lot of emotions and accusations running through this story. Definitely character driven story, I was sympathetic and sometimes angered by the behavior of Michelle, the older daughter who was often difficult and disrespectful. The story starts in the present with the phone call and soon the chapters alternate between the present and the past to show how the lives of the family members were affected. Although there were a few unlikely things that happened in this story, it was still a fast paced thriller. 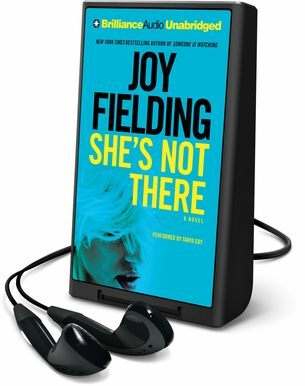 The audio book, read by Tanya Eby was excellent. 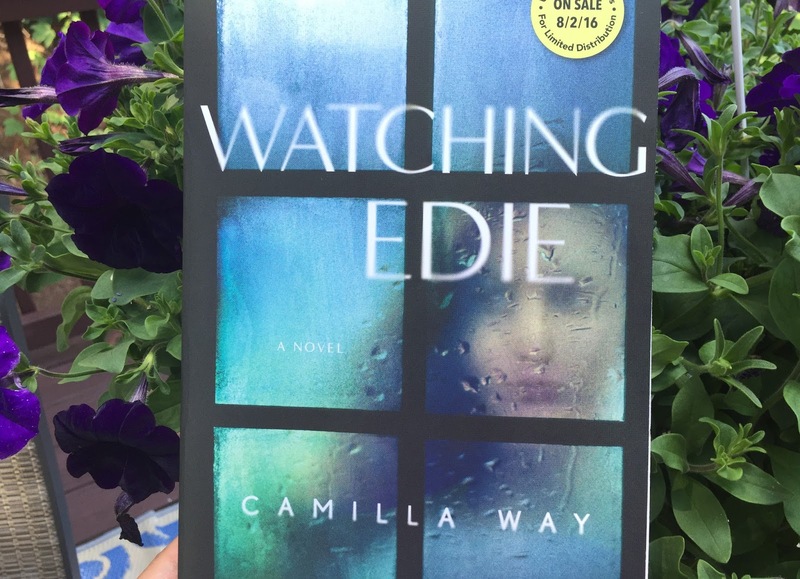 Fans of psychological thrillers should try this one. How well do you know the people closest to you? You just may ask yourself that question after reading this book. Anne and Marco Conti are a nice young couple who seem to have it all; a good marriage, nice home, and now a 6 month old daughter named Cora. One evening they are to have dinner with their neighbors next door (picture attached brownstones). At the last minute the Conti's babysitter cancels and, their neighbor had told them earlier that it was an adults only party. 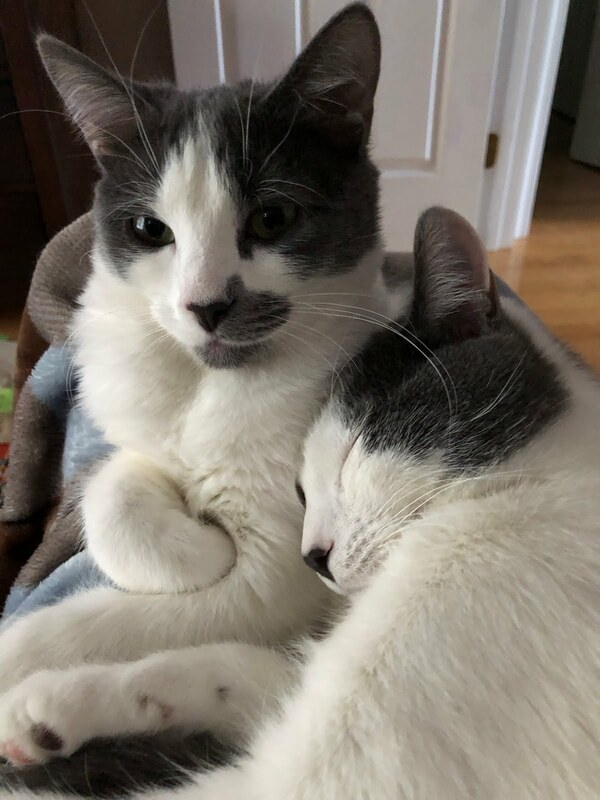 Against their better judgement, they go to the party, taking the baby monitor with them and then checking on the sleeping Cora every 30 minutes. Of course in the course of the evening things go horribly wrong. Without giving any spoilers the couple comes under suspicion regarding what had transpired but, as the police dig deeper it seems as though not only the Contis but, their family and the neighbors have plenty of secrets of their own. 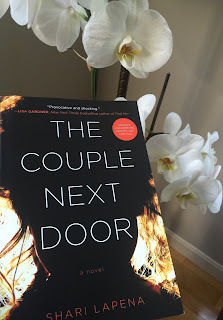 This is one of those psychological thrillers that sucked me in immediately and never let go. The writing felt pretty simplistic but, the twists make the story interesting and fast paced. For a while I wasn't sure who was the guilty party but, eventually figured it out. There was also a stunner of an ending which felt weird and thrown in for extra effect. This wasn't perfect but, I loved it for the quick read it was. "THE NIGHT EFFIA OTCHER was born into the musky heat of Fanteland. a fire raged through the woods just outside her father's compound. It moved quickly, tearing a path for days. It lived off the air, it slept in caves and hid in trees; it burned, up and through, unconcerned with what wreckage it left behind, until it reached an Asante village. There, it disappeared, becoming one with the night." When Tessie Cartwright was 16 years old she was a typical teen and track star, until one day when she went out for a run and woke up in a grave in a Texas field covered in "back-eyed susans". She was the lucky one, she survived. Next to her lie one corpse and the bones of two other girls in the same grave. These girls who would be forever referred to as, the Susans. Although Tessie survives, she is left with no recall of what transpired and suffers with what is termed as hysterical blindness in one eye. Some 18 years later (now referred to as Tessa) she is an artist and single mother to a daughter, 14 year old Charlie. Although a man is awaiting execution for the murders, a man who always maintained his innocence, Tessa feels the serial killer may still be at large. One day someone has planted black-eyed susans outside her home giving her yet another reason to fear for her safety and that of her daughter. Tessa must confront her past with the help of psychotherapy and try to recall what happened to her decades earlier. This is one of those creepy stories with more than a few twists. Tessa comes across as an unreliable narrator which appealed to me. At times the story felt flat and moved slowly and, the ending felt kind of odd. It was a tough listen at times on audio as the chapters were short and the POV kept changing from Tessie (past) and Tessa (present), still worthy of your time if you enjoy creepy and at times uncomfortable stories. 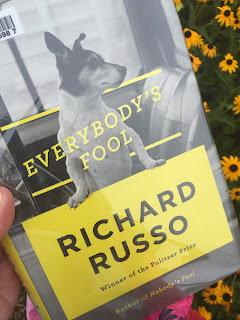 Twenty-three years after Nobody's Fool introduced readers to the cantankerous, Donald (Sully) Sullivan and other memorable characters comes the much anticipated sequel, Everybody's Fool. Set in the fictional, former mill town, North Bath, NY, the story picks up 10 years after Nobody's Fool. Sully is now 70, not in the best of health but, he doesn't have to worry about money for the time being. His gambling has paid off and he's inherited a house from his landlady. 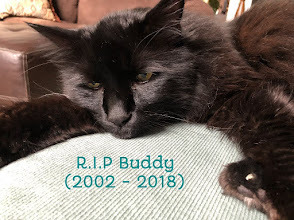 He's more at peace than he's been in years. There's lots of returning characters in this installment like, Rub Squeer, a developmentally disable man who happens to be Sully's good friend. He's also the local handyman. Ruth who owns the local diner and a woman Sully was involved with for years, Roy Purdy, Ruth's ex-BIL, an abusive nut. Doug Raymer, a cop who once had his nose broken by Sully is now the town's police chief and Clarice Bond, the town's black policewoman. Gus Moynihan, the mayor ,also returns as does Sully's son and grandson. I first started this one listening to the audio book and I wasn't happy listening to it. It wasn't just the tone but, it seemed silly. I figured I might enjoy the print version more so, although it took a several weeks, I was finally able to get the library copy which I enjoyed more. Overall, I wasn't thrilled with this sequel. There were frequent changes in the POV and, I found this installment unnecessarily long. At times the crazy antics that happened in this town seemed slapstick-like and got to be a bit much. I felt that the story might be better suited as a movie script. Once upon a time Mr. M wrote a highly successful novel called Payback. The story, although a work of fiction, was based on the disappearance of a high school history teacher in Amsterdam. The teacher was having an affair with a student. Of course being a work of fiction, Mr. M writes the story and the outcome as he sees fit and, not necessarily how the actual story unfolded. As one might expect not everyone, who played a part in the real life event is pleased with his use of literary license. Now decades later Mr. M is an aging writer with a pretty younger wife, Ana, and a three year old daughter. His writing is at a standstill but, he hasn't totally slipped into the woodwork. Someone is watching his every move and those of his family. As the story unfolds the reader gets several (5) different POV of what actually transpired. 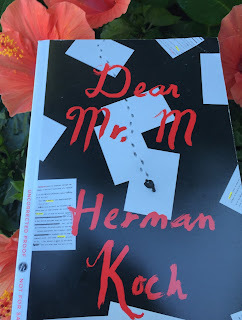 I was never sure what to believe and although each POV was interesting, Herman's POV (Mr. M.' downstairs neighbor) was the one I found most intriguing. His voice felt very unsettling and somewhat sociopathic. He came across as someone with a score to settle. This was at times a challenging read, I suspect it was because of all the POVs and the translation but, I enjoyed it very much. Definitely a tougher read than his first two books, The Dinner and Summer House With Swimming Pool but, very enjoyable all the same. I highlighted lots of paragraphs and quotes as the writing is very good and it challenged me. Great literary mystery. "Anne can feel the acid churning in her stomach and creeping up her throat; her head is swimming. She's had too much to drink. Cynthia has been topping her up all night. Anne had meant to keep herself to a limit, but she'd let things slide--she didn't know how else she was supposed to get through the evening. Now she has no idea how much wine she's drunk over the course of this dinner party. She'll have to pump and dump her breast milk in the morning." Growing up in Massachusetts, I've long been fascinated by the Kennedy clan, a family with so much power and wealth but, also a family who has experienced so much misfortune in their lives. This story is about their third child, one we've heard very little about, daughter Rosemary. 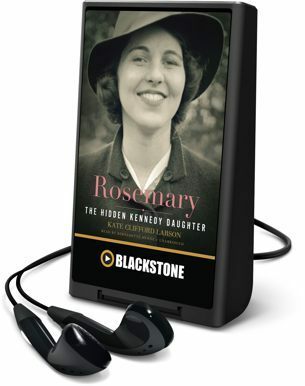 Rosemary Kennedy was born in 1918 to Rose and Joseph Kennedy. Her birth was a quick one before the doctor was able to arrive and, it is believed that she experienced a lack of oxygen when lead to her developmental and intellectual disabilities. A beautiful and happy child her developmental delays were identified early and she was held back in kindergarten. Her parents were constantly switching her from one school to another and even shipped her off to several different boarding schools, often convent run ones throughout the US. When one school did not help her to progress, she was moved to another. Meanwhile, her socially prominent parents went along with their lives and their visits seemed infrequent. They did remove her for family vacations to Europe and to spend time with family at holidays at the Florida and Hyannisport homes. 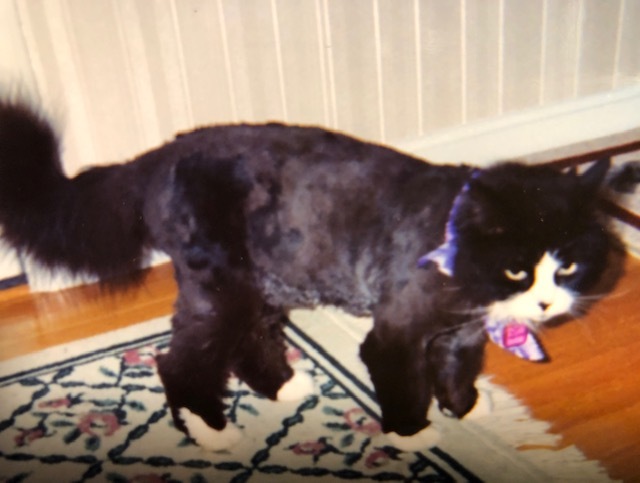 Her father Joe, made all the family decisions and when Rosemary turned 23 he decided to try a radical approach to improve his daughter's mood and mental acuity. He arranged for a lobotomy, a procedure that was only in the experimental stages at that time. It was a procedure that would go terribly wrong and it left Rosemary with only limited speech and mobility and unable to care for herself. She was then hidden away from family, some siblings claiming they did not know where she was for over 20 years. They claimed they knew better than to ask about her, because they knew it was critical that the press not find out about their "imperfect family" which was an embarrassment to the parents. She was sent away to a convent school, St. Coletta's in Wisconsin where she lived until her death in 2005 at the age of 86. I loved this biography so much, it was a real eye opener. Although the story is Rosemary's the reader is given a good glimpse at the whole family (it really made me dislike the father). It was easy to see how the sons seemed to be the favored ones and how the mother put up with so much bull from her husband and just accepted whatever he did or decided as the way it was. Although, I felt sorry for Rosemary and the way her life turned out, money was never an issue and she was always provided with the best of everything. Although it was unfortunate the way things turned out for the Kennedys, so much good came out of it to benefit the greater good ever since. It was the Kennedys who were instrumental in getting major social and civil rights legislation passed on behalf of handicapped children and adults. In 1975 the Education for All Handicapped Children's Act was passed, in 1990, The American's with Disabilities Act and also in 1990, the Child Care Act. If you enjoy a good biography, this one was excellent. The much anticipated third book of the Bill Hodges Trilogy opens with a flashback to 7 years earlier when a deranged driver, Brady Hartsfield, driving a stolen Mercedes plows the vehicle into a crowd of people waiting in line for a job fair to open. In that incident many people died and others were permanently disabled. Brady Hartsfield is now in a coma at the Lakes Region Traumatic Brain Injury Clinic. In his condition what more harm could he possibly do to unsuspecting people? The answer would be plenty! Behind the blank stares lurks new powers, more evil and the possibility of more deaths. Bill Hodges, a retired detective now with a private practice returns once again in this installment and he is pretty sure that Brady just may be faking his coma. Holly Gibney, socially awkward but, a delightful character returns as well working closely with Hodges. 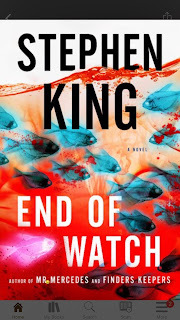 I really enjoyed this series and it's one you really should read in order: Mr. Mercedes, Finder's Keepers and End of Watch. There is violence, suicide and acts of revenge throughout this story, so as long as you don't mind reading about such things in fiction, I do recommend this series. If you are obsessed with video games, this particular story may give you a few extra chills as well. Bilgewater is a coming of age story starring a delightful protagonist, Marigold Daisy Green (AKA Bilge - Bilgewater). She was given the unflattering nickname by cruel boys at the private boarding school in Northern England where her father, "William the Silent"works. 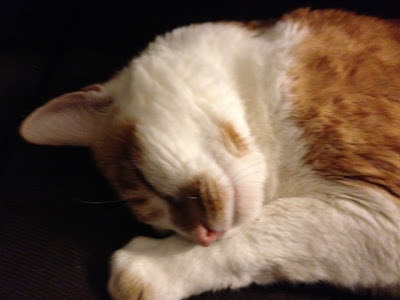 Bilge's is 16 years old and sees herself as odd, large and plain. She has frizzy hair and wears glasses, which the mean spirited boys use against her. She doesn't have any friends, it's just her and her eccentric father ever since her mother died shortly after she was born. She thinks that her mother took one look at her after she was born and was already bored stiff by her life with her father so she "upped and died". A funny, touching but, mostly quirky coming of age story told from the POV of Bilge. I liked watching her transformation. At the start of the story she's a girl so uncomfortable in her own skin but, by the end of the story at 18 she begins to lose those insecurities and becomes her own person. If you enjoy quirky characters and academic settings try this novel. I enjoyed seeing the the cards turn in our heroine's favor. I am looking forward to trying other books by this author. This one is just 227 pages which went quickly. 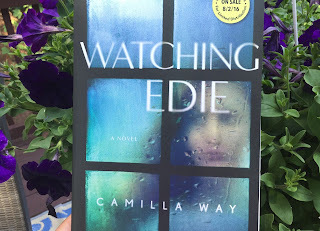 Watching Edie is a psychological thriller that takes place around London and it's a story that grabs the reader early on. Edie and Heather have a shared past and in their teens had been friends. Edie was the popular and confident one and, Heather was shy and overweight. Both girls came from fractured families but, then something happened to end the friendship. Full details are not know until the end of the novel but, the incident was significant enough to end their relationship. Fast forward 17 years and Edie is a waitress, single and pregnant. After giving birth she is unable to cope with motherhood and its demands. She lives alone in a bare bones flat and can't even care for herself never mind newborn Maya. Just when she's at her lowest Heather shows up and, like a good friend might, she steps up to the plate and begins to care for Maya and Edie. Before long her helpful ways seem controlling and stalker like making Edie want to put space between them once again. The chapters alternate from "before and after", Edie tells the present and Heather tells the past. As tension builds at times it's hard to discern who is more disturbed and then comes a shocker of an ending once all is revealed. Readers who like an unsettling story should definitely give this one a try. At times the story felt a little bogged down but, it was still a terrific psychological thriller. Touted as a modern day version of To Kill a Mockingbird, Wilde Lake, is a story that spans a period of nearly 40 years, a story about family and its secrets. Lu's first case as prosecutor involves the murder of a woman in her home by a homeless drifter. The case takes her back in time to an incident that occurred on the night of her brother AJ's high school graduation when Lu was just 10 years old. On that night, AJ saved a friend but, another man was killed. AJ was cleared by a grand jury back then but, as her memory takes her back in time, she wonders whether she knew the whole story because she was just a young motherless child at the time. As Lu digs deep into the past eventually the past and present converge and some secrets, once thought buried forever come to light. The story began in 1980 with a death at a party on the night of AJs graduation. The story is told in alternating chapters between the present case and the time and, back when she was a child and the incident involving AJ. 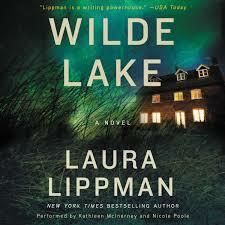 Lipman weaves an intricate tale based on memory, family, secrets and justice. I liked the way that the story showed how very different our perception of events in childhood can be to what really occurred. Unfortunately, I did not care for the main character Lu, and for some reason my overall enjoyment of this thriller was marred by that. The audio version read by Kathleen Mcinnerney and Nicole Poole was very good. Every Tuesday I host First Chapter First Paragraph Tuesday Intros where I share the first paragraph sometimes two, of a book that I'm reading or plan to read soon. I loved the first two books by this author and can't wait to try this one as well. In your books you often describe faces, but I'd like to challenge you to describe mine. Down here, beside the front door we share, or in the elevator, you nod to me politely, but on the street and at the supermarket, and even just a few days ago, when you and your wife were having dinner at La B., you showed no sign of recognition."